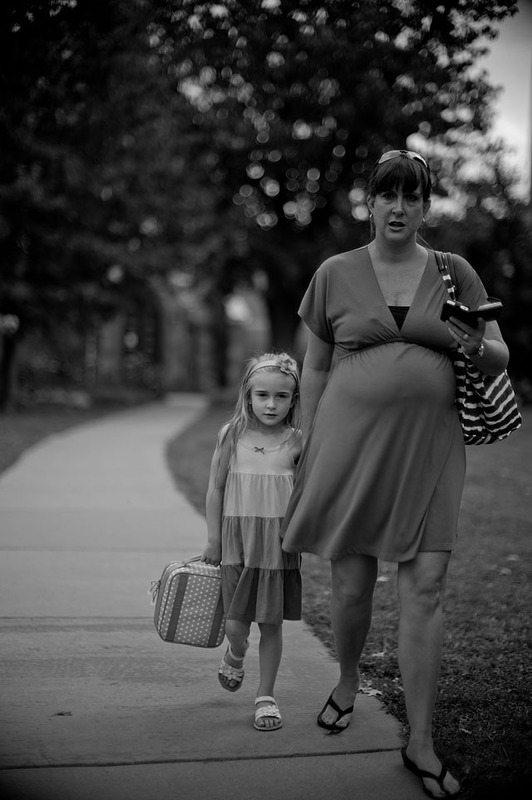 I flew back from New York to be part of the Leica Special Event at Photokina 2012, and then returned to New York a few days later. There is a great deal about Photokina on this Page 29 og the Leica M article, including an interview on the floor wiht the Leica Camera AG product manager, Stefan Daniel. Enjoy!. 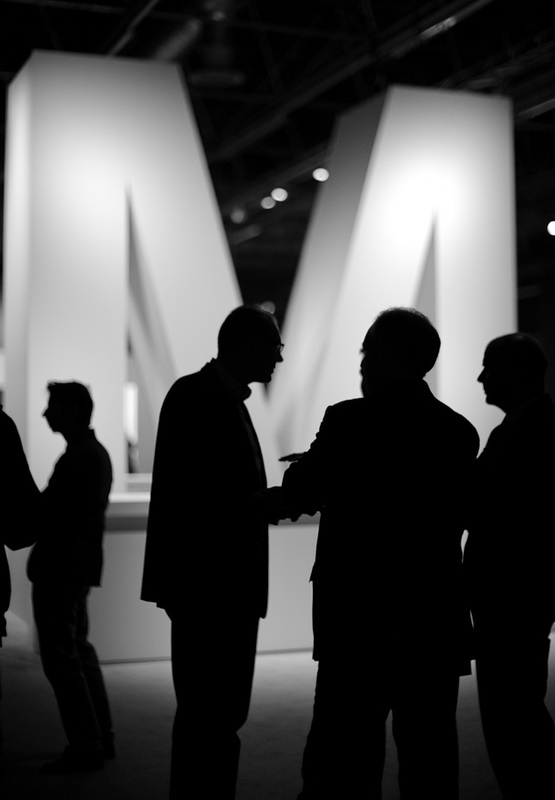 The Photokina 2012 pre-opening event at Leica Camera AG, September 17, 2012. Leica M9 with Leica 50mm Noctilux-M f/1.0. Read more here. NEW YORK, September 20, 2012: It so happened that Stanley Clarke was playing at Blue Note in New York with Hiromi a couple of hours afer I had landed from Photokina in Germany. So we went to see him and have late dinner. 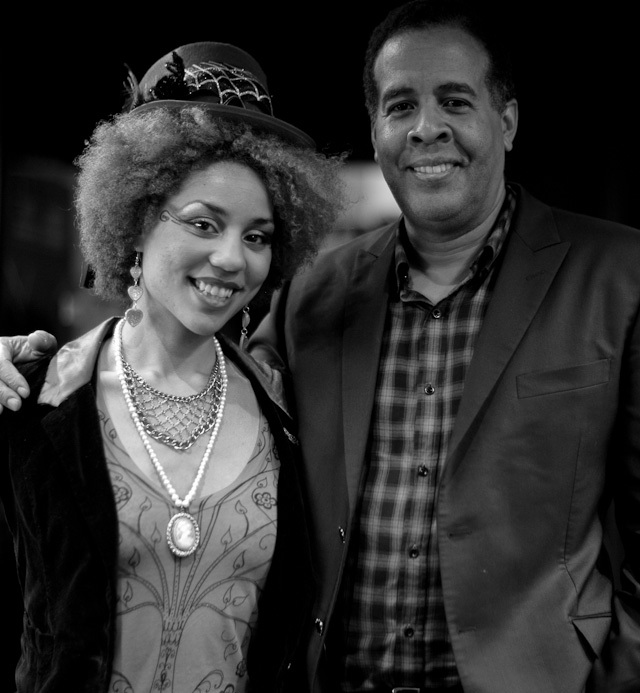 Joy Villa and Stanley Clarke backstage after the concert. I remember when I first visited Blue Note some years ago and I thought eating and listening to live music at the same time had to be one of the worst sins you could commit. But it actually works very well, so now it's a great way to have dinner in New York or Tokyo. A table next to the stage, live music and good food. 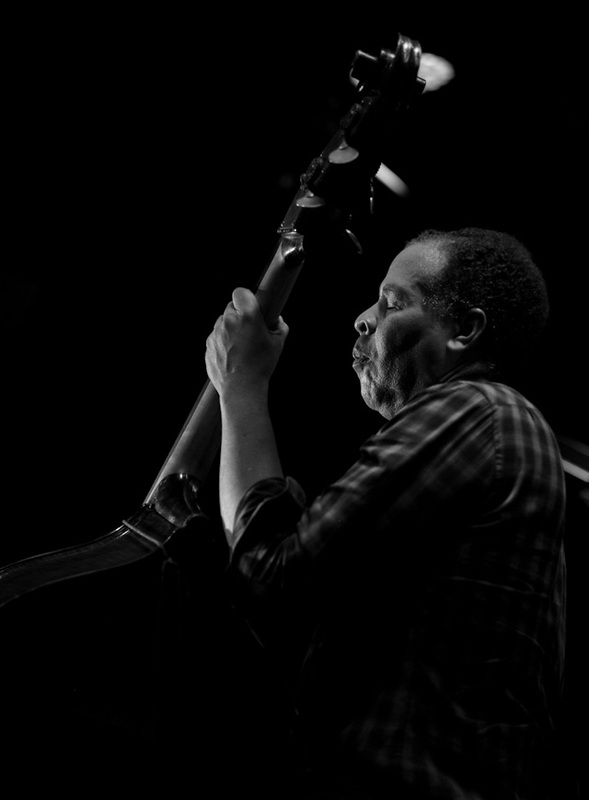 The announcer said no photogarphs during the concert, and the first thing Stanley Clarke said when he entered the stage, was "Don't listen to them. You can photograph, Instagram, video YouTube all you want. Just relax". And so peole did. 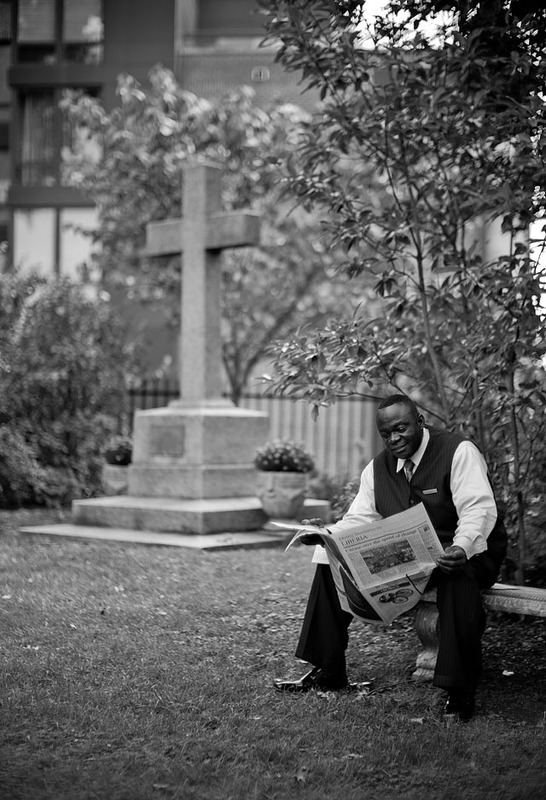 Stankey Clarke with Leica M9 and Leica 90mm Summicron-M ASPH f/2.0. © 2012-2017 Thorsten Overgaard. One of my favorites from the series of photos we did of Izzy near by his home in Queens, New York. Leica M9 with Leica 50mm Noctilux-M f/1.0. 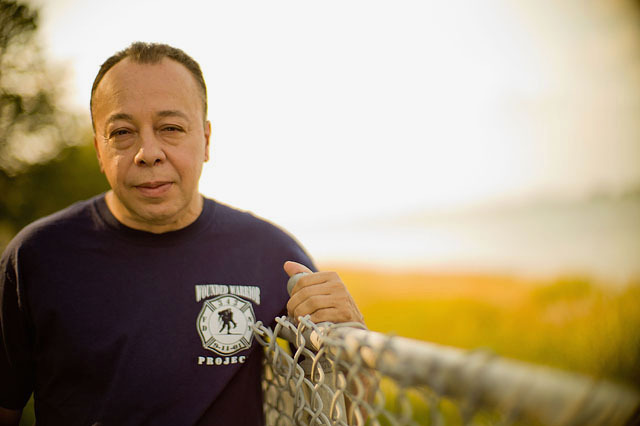 Meeting five of the people, ten years after 9/11, who all worked in the midst of Ground Zero from the first minutes to weeks or months after was a very special experience. Each had unique life stories and experiences, and what might sound as a strange observation, was this: They were all alive. And the rason I mention this is that this seem to be a special characteristic. One thing is to do what they did, another is to survive it. One special memorable moment was meeting with NYPD officer Steve Mona in the hotel lobby for the portrait in central Manhattan. He had forgotten the black shoes for the uniform - he had just returned from holiday a few hours before and had rushed to meet us - so we went with white sneakers. Outside the hotel Joy did his makeup, and then we walked two blocks up to Broadway and 31st Street where I had found a couple of locations. Walking that short walk through Manhattan with not just a NYPD officer in uniform (and white sneakers), but a uniform with the WTC sign, was a lesson in presence. 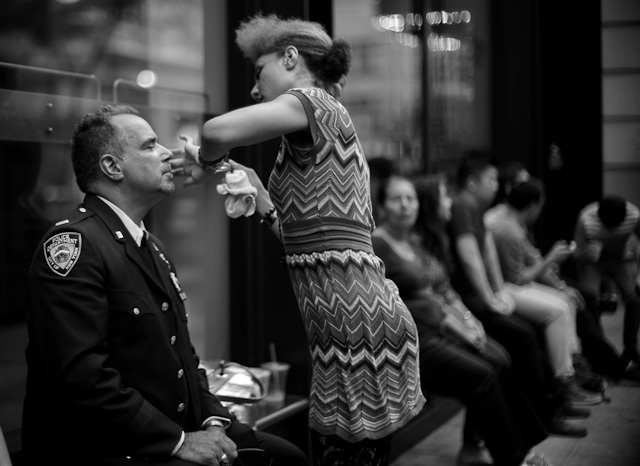 It was beyond the uniform: The unifrom helps, but the responsibility for the city, the respect for the people of New York and the confidence displayed was so unique I can only hope it will shine through in the images when they appear in the magazine. 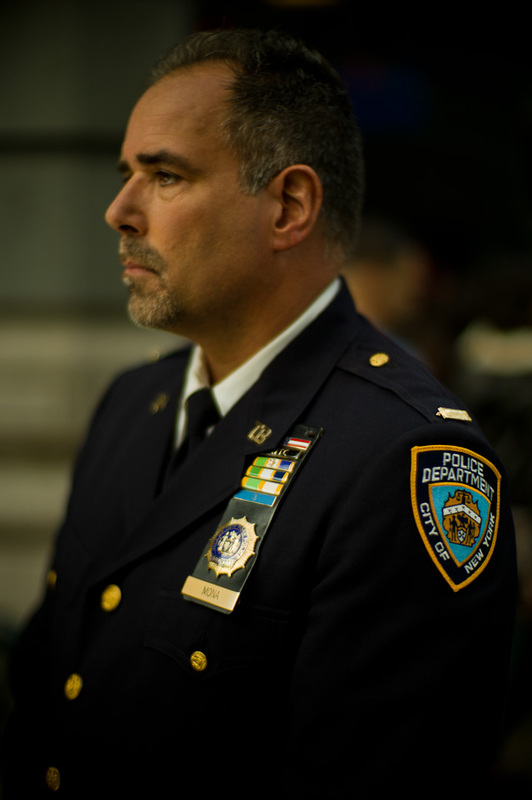 NYPD Officer Steve Mona. Leica M9 with Leica 50mm Noctilux-M f/1.0 at 160 ISO on Broadway in New York. I was in Washington to test the new Monochrom. 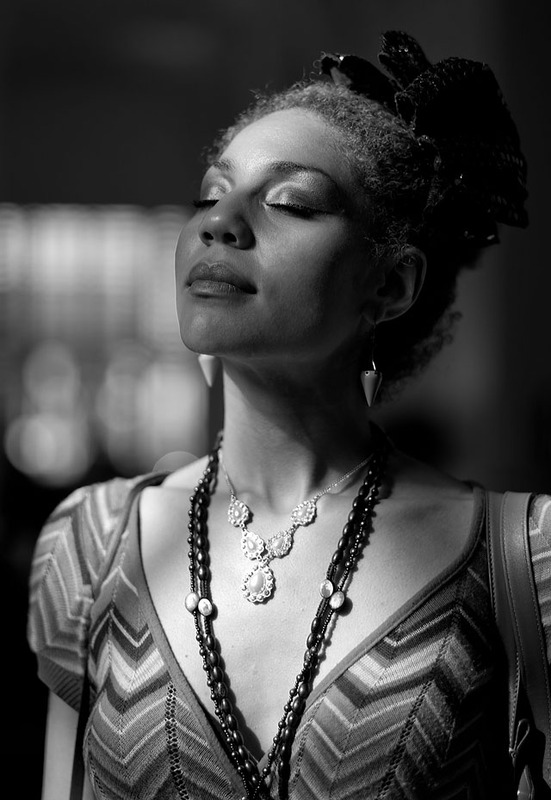 American singer and model Joy Villa in Washington DC, wearing a wedding dress designed by Elisabeth Donaldson. Leica M9 with Leica 50mm Noctilux-M f/1.0. © 2012 Thorsten Overgaard. 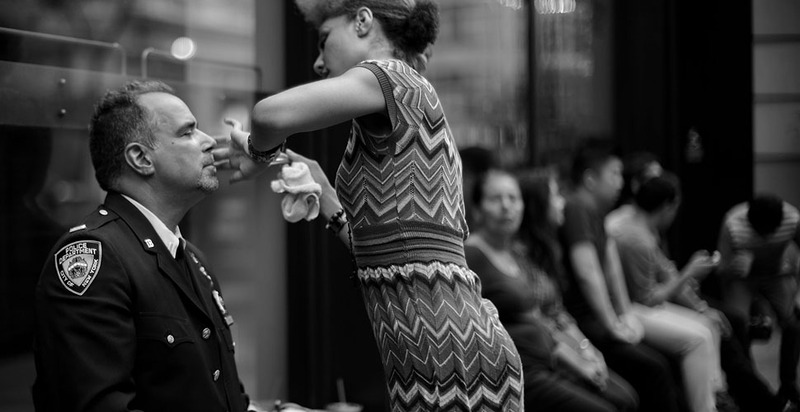 Above: Joy Villa doing makeup on a 9/11 NYPD officer before we do a photo shoot on 31st Street.